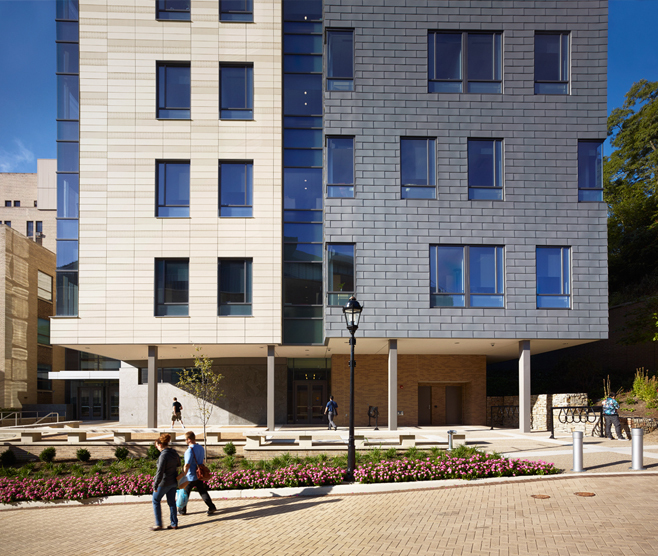 UNIVERSITY OF PITTSBURGH SALK HALL ADDITION — Burchick Construction Company Inc. This 80,000-square foot addition to Salk Hall created four floors of research laboratories, offices, and ancillary space for University of Pittsburgh’s School of Dental Medicine and Pharmacy. The project is LEED certified. 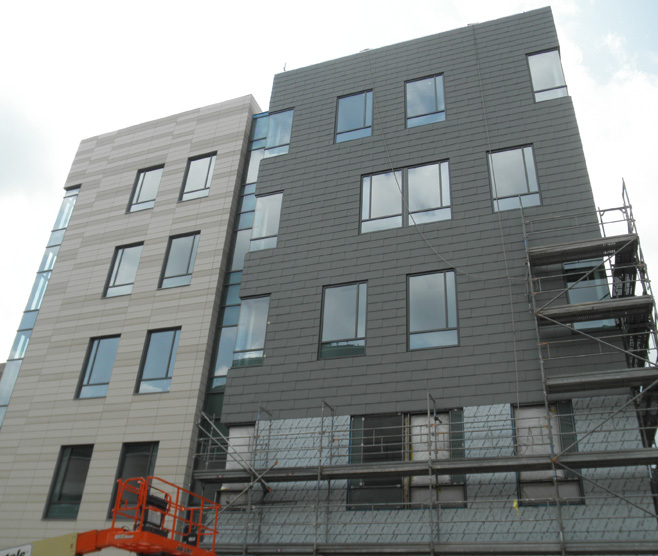 The building has a façade of terra cotta rainscreen, zinc flat-lock panels, zinc rainscreen panels, insulated metal foamwall panels, and composite aluminum panels, all of which Burchick self-performed. The structure is fireproofed steel founded on a combination of caissons and concrete grade beams, concrete footings, and concrete walls. 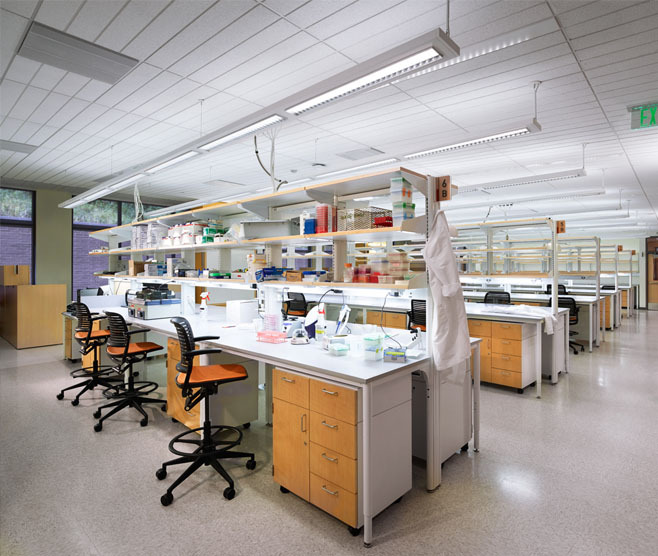 The research labs have extensive casework, fume hoods, and other equipment. Sitework included significant decorative gabion walls, concrete sidewalks, walls, curbs, unit paving, landscaping, and other site amenities.